My (Alison's) newly painted white bedroom floors...it took me 3 days to prep, sand and paint it. Love the results, even though I now have to obsessively clean it! I thought photographing the seersucker shoes would be a fun way of showing the floor. Crystal perfume bottles on my book cabinet. In the background is my new grey/white Cath Kidston wallpaper, which I also installed myself (never thought I could put up wallpaper!). Pillow shams (and matching chair fabric) from Rubie Green. Some of my favorite pink bras. I think I have over 90 designer bras in my collection...not bad for owning a lingerie boutique! Bras shown here (top to bottom): Damaris, Mimi Holliday, ID Sarrieri, Fleur T.
A pair of Christian Louboutin heels on my book case. 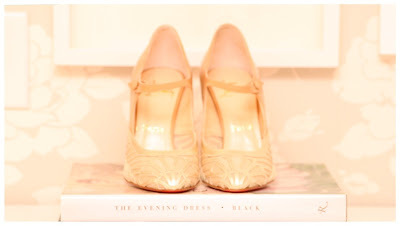 I haven't worn these shoes yet...so in the meantime, they make a cute display piece! Plus, I'm a shoe lover (what woman isn't?). Satin-tufted headboard and Rubie Green bedding and Martha Stewart bedding (hard to tell). My Made by Girl LOVE poster above my Wisteria mirrored dresser (that I love). Chair from Calypso Home covered in Rubie Green upholstery. Crystal lamp and silver clock from Restoration Hardware. On the opposite wall, a framed vintage Cadolle advertisement. A vignette on my desk: a pretty card, an old framed polaroid of my Grandparents, and a framed antique perfume bottle label (thanks to my mom for framing it!). My desk where all the blogging action happens! Mac computer and peonies are most prominently shown...and above the desk is a Le Frou-Frou framed print that I got as a gift 15 years ago (it must have inspired the name of the store!). Also notice the Ghost Armchair...which is surprisingly comfortable! My Louis Ghost Armchair (which looks extra ghostly here) on a sheepskin rug next to my favorite mirror table from Grace Home Furnishings. On top of the table are a bottle of Laduree champagne and an Ellen von Unwerth photo book. On the wall, a Rene Gruau framed print. 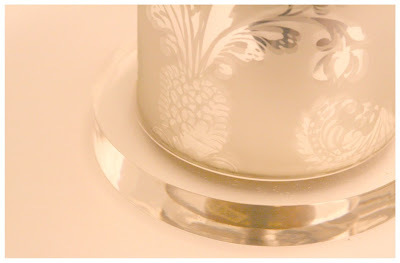 The base of the etched mercury glass & acrylic lamp on my dresser (which is not fully shown). Lamp from Pom Pom Interiors, but is also sold on the Neiman Marcus website. A view of one of my bra drawers! In the background is a ceramic stool that I use as a nightstand. Another framed antique perfume bottle label from France. A collection of lovely things. 3 glass balls (from ABC Carpet & Home), mercury glass accents and a hobnail vase (that I took from my mom!). My 'chinoiserie' book cabinet that I painstakingly put together. It only came in black, so I had to sand it, paint it and assemble it over a period of 2 weeks. I then lined the back of the cabinet with leftover wallpaper. I have so many books that I love, so it's a nice way to show some of them. 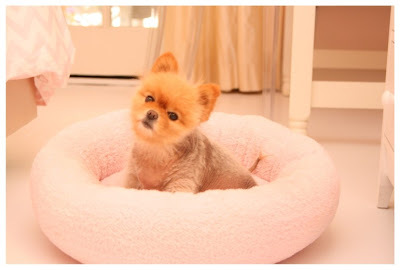 Even Chickie got in on the makeover action, getting a new fluffy pink bed from Maxwell Dog (that she loves)! 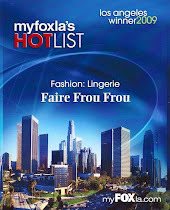 UPDATE: Faire Frou Frou was sold to new owners in January 2015. 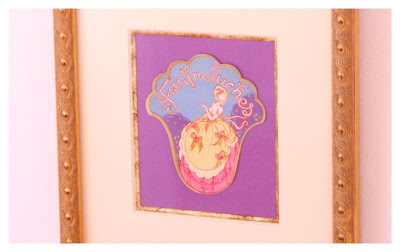 This post is about Alison Rubke, the former owner & co-founder of Faire Frou Frou. So many customers enter Faire Frou Frou and ask if my room looks like the store, and I suppose that in a way, it does! At least in terms of the pink! It's unusual to write a post firsthand, but this is about my (Alison, aka Mlle. Frou-Frou's) room. 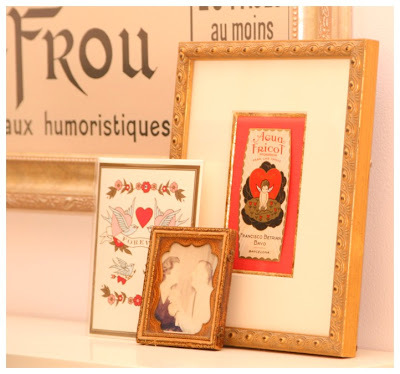 In a couple of weeks we will also show Madame Frou-Frou (my mom, Gail's) room makeover. In any event, I am pleased to show the end result of several months work on my 'boudoir'. I love doing home projects, so it was actually kind of fun painting, wallpapering and assembling the new furniture...or at least fun in hindsight. I also wanted to show a bit of my lingerie collection, since the running joke is that I own everything in the store. What can I say, I like what we carry! 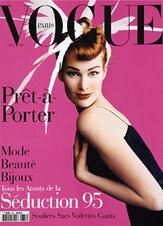 I tried to give credit on most of the major pieces as well as links on where to buy. every pic is like a big fluffy pouf!! soooooo pretty, and da baby!!!!! Love your blog. 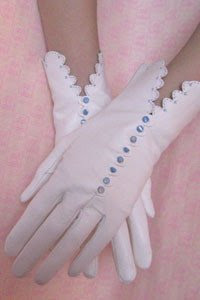 The elegant girlishness is wonderful. P.S. Thanks so much for your sweet comment. You did a fabulous, frou frou job! 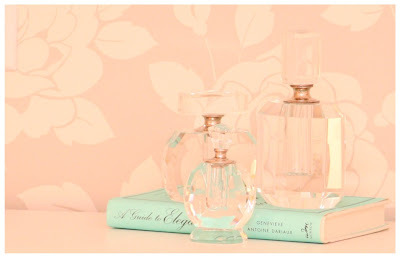 Love your little blogging corner and the framed perfume labels. Thanks for sharing....going to go clean my closet now!! What a pretty, feminine room! your dog is such a cute thing"! how'd you get the idea to paint the floors white? This is the most fabulous set of rooms! All the pink and soft peaches are making me swoon. I want to pull all of these shots into my inspiration folder so when I get a chance to redo my own, I'll know just what perfection looks like! The floor looks very chic! Alison, I love this room! It's gorgeous, feminine, sophisticated and a whole lot of fun. This is exactly what I imagined Mlle. 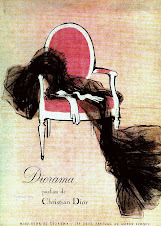 Frou-Frou's bedroom -- or really, boudoir, would've looked like. It is just gorgeous! Thank you so much for sharing your home...quite inspiring!!! 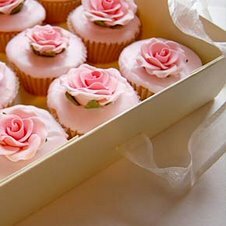 So girly... delightful and delicious !! Oh Alison! It's absolutely divine! You did an amazing job with this room! Thanks for visiting my blog and leaving the nice little comment. Your blog is great! The images are beautiful!!! Wish i lived close anough to come check your Boutique out! I'm posting these picture on my blog tomorrow. Please stop by to check it out! I want you to makeover my room! Everything is so lovely, and your little pupppy is adorable! Also, I'm incredibly envious of your designer lingerie collection... QUITE. Oh! I have that book (Elegance). How lovely! Everything is so beautiful. You officially have my dream room. I've never been so proud of one of my blog sisters. AMEN, honey. And I've got a retail background as well...so my drawers and closets suffer from "shop" syndrome as well. I color block items, I arrange them prettily like they are on display etc. but your boudoir is GORGEOUS. Do enjoy! I loved this post! And your room... and now your blog. My eyes are burning from all the pretty - I dont think I blinked until I got to the end. I was telling my husband just this morning that a 31 year old woman such as myself needs to get it together in the bra dept. Its a s if you heard my prayers. I will be in to the shop! ooo, that pink shade is amazing!!! i want to paint everything that color!! I love what you did with the room. Very beautiful. woooww is your dog??? I want one similar, woooww love him!! Loved every bit of it, an awesome way to end a crazy day. You bra drawers is beautiful, I would love to have one like that. Your home is so lovely, it's like a dream! But I'm not sure my boyfriend would be agree to live in a pink home haha! wow, thank you for the wonderful comments! each one has been a pleasure to read. i am loving the new room...and so is Chickie! This is HOT, all that work on the floors but WALA.. fabulous. 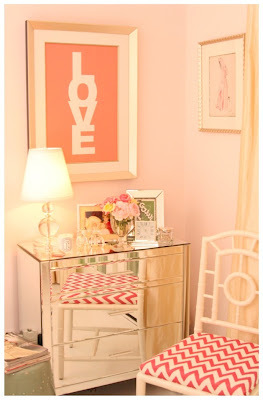 The room is so fab and glam-love it and love your blog. I especially love the Louis Ghost chair, the Chinoiserie bookcase, and the Rubie Green fabric. 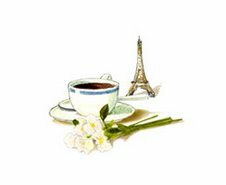 Thanks for stopping by my blogs. What gorgeous images. The floor is incredible. Fabulous job! that room is so fou fou! right down to the little fou fou puppy. i love it. the shoe pics are my favorite. Oh my goodness, your room is DIVINE! THank you for sharing pics! Reminds me of Laduree box..so cahrmingly Francaiase & filled with more delights!!! C'est magnifique!! Also no metion so where did the bookcase come from??? I adore the design. This is so inspiring! My beau and I are buying a house, and I am itching to decorate!! It looks lovely, awesome and beautiful...look out Sarah Richardson!! 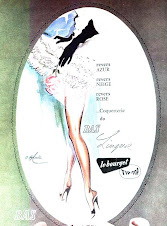 I adore your old perfume bottle labels. Tres Chic! Oh my goodness! It's like a gorgeous glamorous old Hollywood movie set! You are so talented and your taste is flawless! So beautiful. I think Chicki looks perfect in there! Thankyou for sharing! It's almost like living inside of a beautiful crytal perfume bottle! Your room is simply gorgeous! So utterly feminine and glamorous. Inspirational! Every single pic is beautiful! I positively LOVE this room! I'm currently in the process of making over my own boudoir and this is so inspiring. I love the classic, feminine styling. I just adore your colour scheme! I love the combination of textures and shapes - just beautiful. What kind of frame did you use to for the Love poster? Oh my goodness! It is just beautiful. Everything about it is perfection! I love all these photos! Your room is like a dream. Heart. Absolutely gorgeous! You did a phenomenal job. WOW!!! I am in Love with your room! Great job! It is girly, boudoir perfection! I love your headboard!!!! AND your dog is unbelievably cute!!! He is so fluffy! I Love him/her instantly!! Those floors and that book cabinet are stunning! Absolutely stunning, I am so inspired as well as overwhelmed by your talent! ok, your bra drawer made me feel really inadequate, bu your desk made me smile. Gorgeous!!! We have so much of the same items (bed, mirrored drawer table that I use as a nightstand, parfum bottles and books). Your floors are divine! No wonder I'm drawn to your blog/website! how i just discovered your blog is beyond me, but i'm very impressed. your home looks stunning and i'd love to copy every last detail. would you like to trade links? Totally divine and gorgeous, xv. What kind of dog is that? You're home is SO adorable! aww, so pretty! i am about to paint my bedroom pink, too, so i'm totally eating this up! Ami - my dog is a Pomeranian. she lost much of her fur from a genetic disorder, and we're hoping to save some of it with the medication she's on! Mrs. Limestone - i actually had my LOVE poster custom-framed at Aaron Bros. it cost way more than i expected it to! Alicia - the bookcase is from...well, I'm not sure! i bought it online from perhaps Home Decorators Collection or maybe it was The Company Store. it was about $400, which is good for a piece of furniture like that! Thank you again to everyone!! wow-this is perfection! love it! I am absolutely obsessed with your room!! a girls dream room!!! OMG such a fabulous room!! I totally envy the white floors..I have crave them for years!! Love it such a beautiful room!! You have an impeccable taste!!!! I hope you enjoy the room so much!! 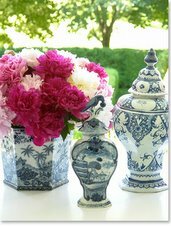 Love love the chinoiseire...you gave me so much inspiration!!! Fabulous!! omg! this is soooo beautiful! I am green with envy or pink with envy! i love this! and your dog is too cute, fur or not. this is gorgeous - so well designed - i love it! I don't think I have ever been so jealous, this is amazing work! love it all. the desk is my fave... right behind chickie - adorable!!! wow wow wow. so simple, clean and chic. 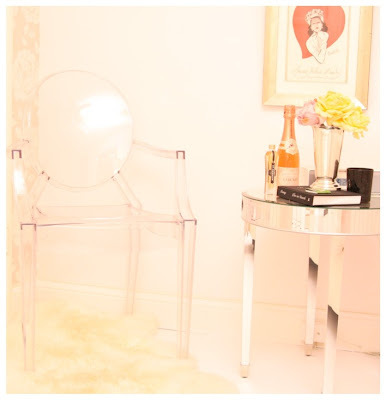 the mirrored dresser, ghost louis chair and the loubs...ahhh. 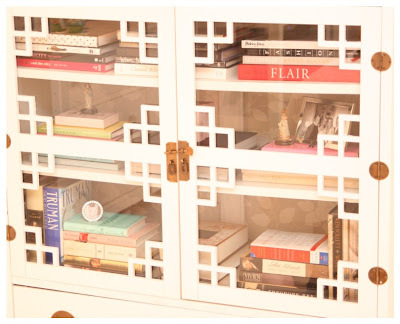 This is so fabulous, and I'm in love with your chinoiserie book cabinet! I can only imagine how much work went into that! Lovely! 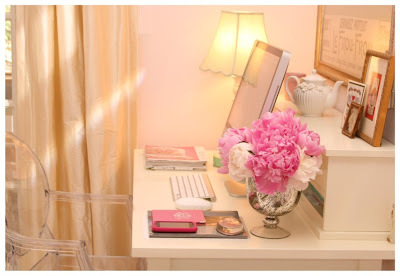 I so admire the color scheme and the serenity of your desk- very inspiring. I will clean my stacks of junk off tomorrow in hopes I can channel your creative energy in that space! Lovely! 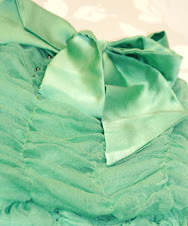 Gorg..wow...words are hard for me to find..
Gorgeous job on the boudoir makeover! My favourite photo was of your blogging spot, I almost sighed with envy, mine is nowhere near as glamourous. Okay, now this is why we read blogs! Oh my, this is one of the prettiest posts I've ever seen. Every inch of your house is amazing. And your bra drawer, unreal. Can we please trade desks? I would be more than happy in that room! WoW!! What a stunning room!! I've been so out of the blog loop lately that I hadn't seen the final reveal! I LOVE IT!!! Thank you so very much for choosing Rubie Green :) and NICE WORK LADY!! It's gorgeous! 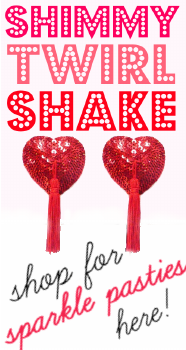 you may need that pin-up book to add a dash of Red! 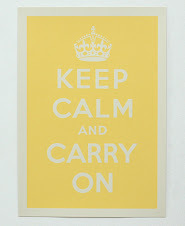 I have it posted in my new giveaway! Oh my God, it looks absolutely stunning! It's all one big, fluffly dream! I adore your bra drawer as well, amazingly well done! WIll definitely follow your blog from now on. WOW! Can I move in with you... or at least have you come decorate my room? How long did it take to accumulate 90 bras? My husband would love me even more if I had your bra collection. *gasp* I can't say how much I'm in LOVE with this space. But I'll sure try: love, love, love it! Beautiful work and I love that you had a hand in it, so you can have the satisfaction of feeling close to the space. Our house isn't this fabulous, but the little things we've done on our own have a much greater connection to us than the things we had to hire others to do. I'm impressed with your super neat bra drawer...... I wish I had one like that! Your bedroom is beautiful. I looove pink. I wish I can come to your house and your store someday. How about taking higher quality pictures of your room and submitting them to some of those home decor magazines like Better Homes and Gardens or a Martha Stewart magazine? They would LOVE this! I'm still so crazy about this room. Definitely shoot higher quality pictures of the room in wider angles! I'm in love with your room ! I can't get over the floors, just beautiful. so jealous! where is the green stool and sheepskin rug from? details on the floor? Trying to figure out how i can get a bedroom like this with a husband. It's amazing. Just so darn pretty. Oh my gosh, how have I not yet seen this space? I absolutely LOVE it!! The Rubie Green bedding is so chic, and the MadeByGirl print is one of my favs. I don't even know where to begin because it's all soooooooooooooooo fabulous! 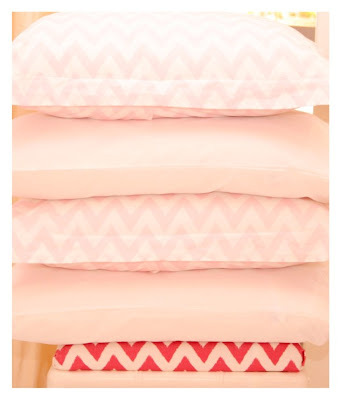 Hooray for pink, girly and geometric goodness! I love, love, love the chinoiserie book cabinet. 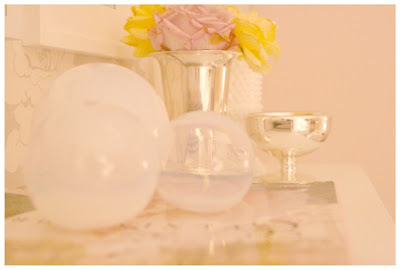 you have the most beautiful, gorgeous glam room! I'm especially jealous of your collection of bras! Божественно-красивая комната!!! Приятный цвет и много милых деталей. Loved everything!! There perfect bedroom for the sweetest and most perfect Princess. Kudos, love and hugs..
wow superb collection I am especially jealous of your collection of bras!